NO COST to DSAF members with Down syndrome and (up to 3) family members. Airshow will conclude by 4:30 p.m.
MUST REGISTER BY APRIL 21st to RECEIVE TSHIRT! *This is an official invitation specific to DSAF members with Down syndrome. 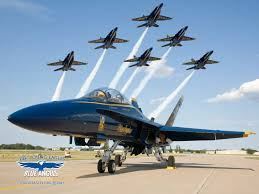 Guests will experience the show in a less crowded and more controlled environment than that of the public airshow. A limited number of family members may accompany the guest (1-3 preferred).